We climbed out of Alora, via Ardales and through the mountains, past Campanillo, until the countryside became less undulating. The closer we came to Seville, the flatter it became until we were crossing the kind of plains the rain mainly stays on, apparently. Seville appeared in the distance but it seemed to take forever to traverse the outer industrial suburbs. As we neared the city centre, we encountered wide avenues and parks, until we crossed the river into Triana and the modern apartment buildings closed in. After a couple of laps around the block and narrowly avoiding a run in with a Benz, we found a car park. The cost of the car park? €21 per day, half as much as our apartment! Note to selves: Sometimes it’s better not to have a car in Europe…. We were a little early to check into the Airbnb apartment, so naturally we found the nearest Cerveceria, as you do in Spain! There are few things better on a hot Andulcian day than an icy cold beer and tapas, although the tapas were not quite the quality we had been used to in the more rural towns. As always we were keen to explore the city by stretching our legs. We left the apartment, crossed the Punte de San Telmo over the river and guided by the elegant buildings on the skyline, past the Palacio de San Telmo and into the Parque de Maria Luisa. 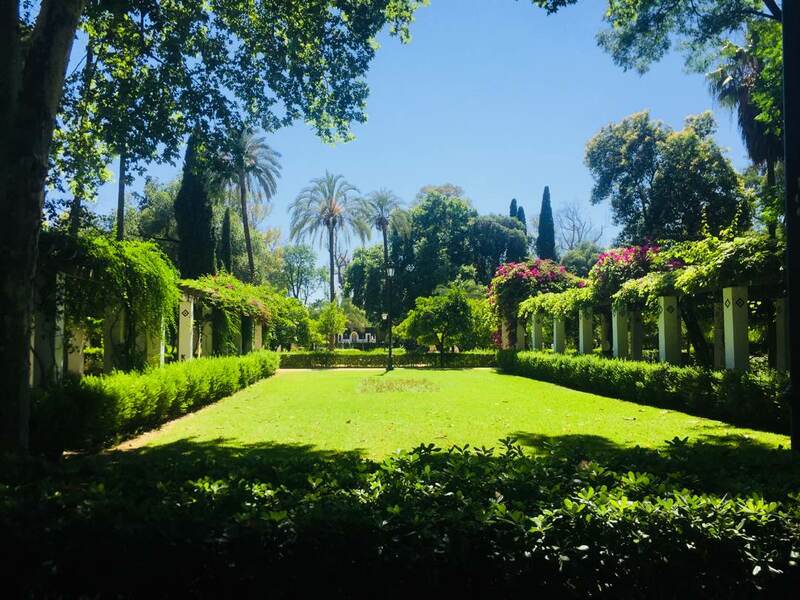 The park formerly is a huge parcel of land which formally belonged to the queen’s sister, the Infanta Luisa Fernanda, Duchess of Montpensier, it is the perfect place to take a rest and escape the hot Spanish sun. The gardens were donated to the city and are beautiful designed with fountains, numerous monuments, trellised groves and walkways, orange trees and so much more, all under a canopy of rubber trees, huge plane trees and of course the now ubiquitous gum trees. Upon arriving in the park, we found a remarkable semi circular building, arranged around an incredible tiled plaza, which we later found to be the Plaza de Espana. It was constructed for an exhibition in 1929 and looks as spectacular today as it must have then. The tiles throughout the buildings are various shades of yellows, blues, greens and gold and there is a wonderful moat around the base of the plaza, where people row boats under various beautifully tiled bridges. It is reminiscent of both of Morocco and Venice. We meandered around the plaza and park for a couple of hours before realising that sight seeing in 42°C was a little crazy and we decided to head back to the air conditioned apartment. We grabbed a couple of cold drinks from a nearby supermarket and retired for siesta. Everyone should learn to siesta, such a sensible way of dealing with the summer heat. We were left wondering why we don’t do this in Australia, given that the weather is the same during summer? As the heat of the day began to subside, we once again ventured out into the city and headed over the river, turned left for the old part of town and wandered along the river bank. As we neared the Teatro de la Maestranza, the Performing Arts Centre, we turned into the old city and lost ourselves in the numerous alleyways and lanes. It turns out we just missed out on seeing the ancient bullring, but as neither of us agrees with the so called sport, we didn’t mind (you will note an absence of Bull fighting in our Spainish experience). Eventually we emerged near, of all things, The Clan-Scottish Pub. Given the time of day, the heat and our natural proclivities, it should come as no surprise that we popped in to quench our thirst. Thus fortified, we wandered through the city. 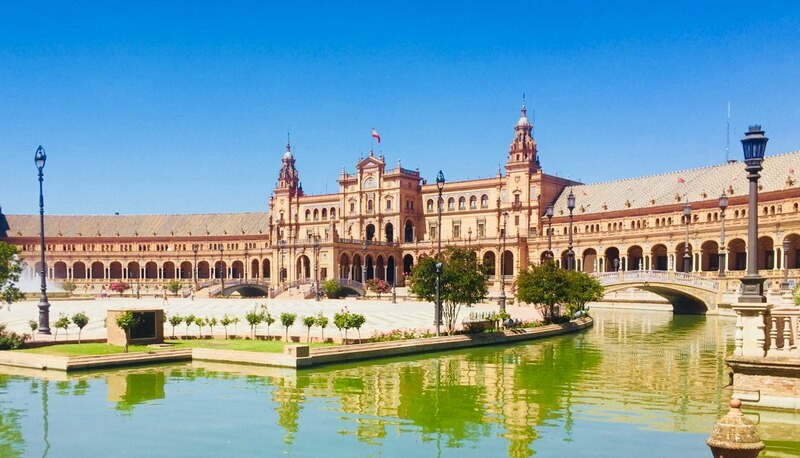 We have seen many beautiful cities in Spain, but none so far, compare to the splendour of Seville. The many large and imposing buildings speak to a wealthy and historic past. The Seville Cathedral , Cathedral of St Mary of the See, is an excellent example of Gothic architecture. The numerous turrets and statuary, the delicately carved icons and imagery, are a feast for the eyes and the belltower looms over all, topped by a beautiful statue, the El Giraldillo. As we slowly trundled along the tram tracks around the base of the looming church, Cath spotted the Passaje de los Seises, never one to bypass what may be a secret passage to nowhere, she took off and we were delighted to find a small plaza, with painted and tiled buildings, a fountain and a small group of guys relaxing out of the evening warmth with a beer or two. A delight that you must find if you are in Seville. We walked on through the old city and it is fair to say there was not a block that passed by where we didn’t marvel at the buildings. The Ciudad de Londres was a gorgeous example of Moorish influences, while the Metropol Parasol is just an amazing piece of modern architecture. The Alameda De Hercules, with its Roman statues atop imposing columns is the oldest public garden in Spain and Europe. It is conveniently surrounded by bars, where we would sample a Mojito later in the evening. We could go on, but there is too much to mention, you could be lost in the streets of Seville for a very long time and still be left marvelling at the beauty. 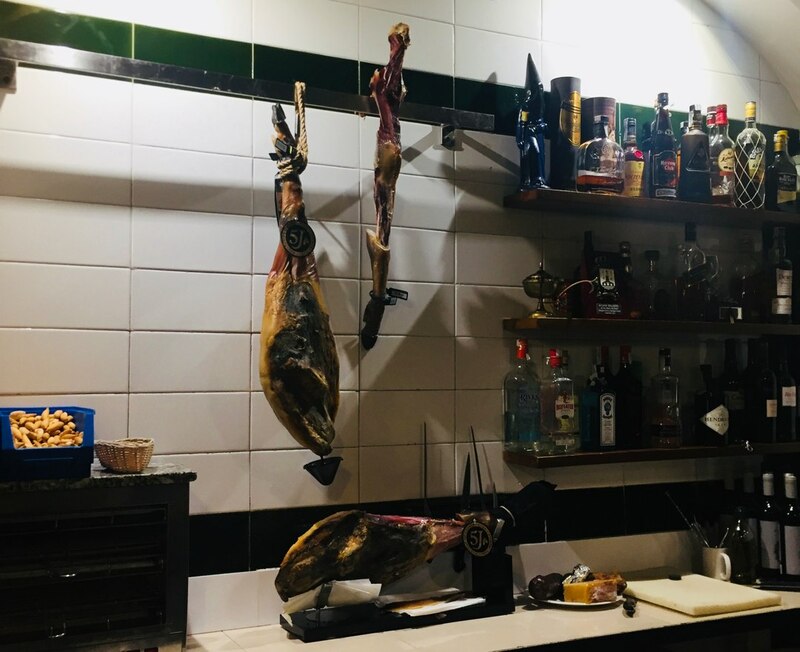 Suffice to say that we eventually wound our way to a small tapas bar, the Casa Ricardo, where we ate some of the most memorable tapas of our trip. Call it adventurous or call it silly, we decided to let the bar man choose our tapas and what a selection! The first dish was a simple Jamon croquette, but this was followed by a delicious dish similar to Osso Bucco. Cath claimed that there was no point in making Osso Bucco anymore, as she couldn’t compete. The third tapas though, was confronting, to say the least. It appeared to be a deep red piece of toast piled with small white worms. Ian considered leaving the bar immediately, but his curiosity got the better of him and he sliced off a piece. It was remarkably good and we both scoffed the rest with delight. As we found out later, it was a slice of tuna topped with anguilla elvers, baby eels. The final dish was a lovely creamy artichoke heart. And of course all washed down with a couple of ice cold, Tinto Verano. We spent the rest of the evening, wandering through the old streets, stopping off at small squares to people watch, enjoy a cold drink and generally gawk at the beautifully preserved city. 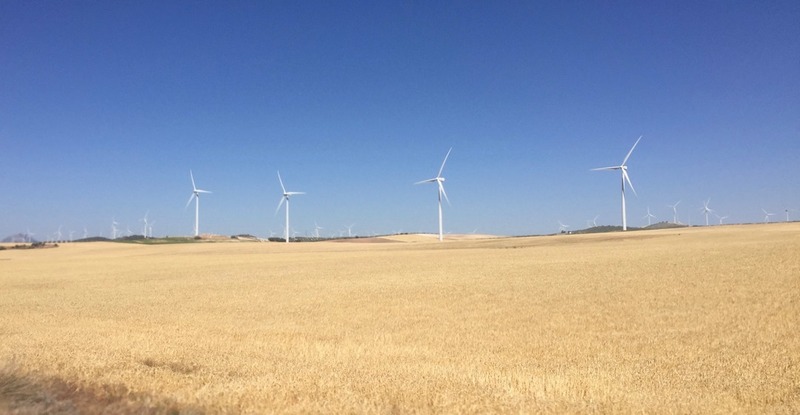 We had achieved a great deal on our first day’s forays into Seville and determined that our second day should follow suit. First item on the agenda was the fabled Alcazar, the Moorish castle of Seville. We were again distracted by gorgeous architecture and gardens and found ourselves enjoying a flamenco street performance before realising we had actually passed the castle. So it was that we made a quick backtrack, before we strolled down an alleyway and found…. the exit. Down another alley, around a corner and we were standing before the castle walls; they are enormous standing at least 12 metres high. They certainly must have been quite a challenge for invaders. We saw the length of the queue and decided to await another day before mounting an incursion. This at least gave us another opportunity to admire the cathedral again, which is right next door. We had decided to have a closer look at the Metropol Parasol, which is sometimes referred to as a waffle, due to its latticework structure and so we proceeded once again through the old city. As mentioned previously, there are wonderful buildings at every turn and it was a great pleasure wandering and admiring. In no time we arrived at the La Encarnación Square, where the giant structure, known locally as Las Setas de la Encarnación (Incarnation’s mushrooms) sits. It is possible to catch an elevator to the top for €3, and free drinks in the cafe at the top are included in the price. We took full advantage the air conditioned bar and the view across the city was terrific. Our AirBnB host had given us a couple of restaurant tips, including for a meal “like my grandmother would make, I have no idea what it will be but it’s always good”. So after a long morning of meandering we headed there for a late lunch. 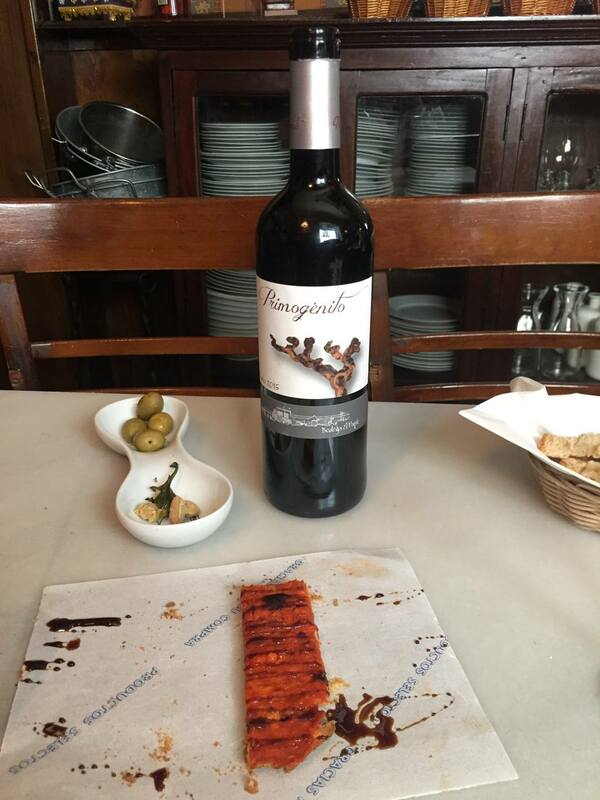 The Antigua Abacería de San Lorenzo is a small unassuming restaurant, but one that you must not miss in Seville. Disappointingly we found it reviewed on TripAdvisor! So the world already knows, damn! We chose the “menu a dia” and were left feeling like a couple overfed cats needing a good afternoon nap. We had heard that there would be a pilgrim’s progress procession over a nearby bridge later in the evening and so after wandering back to our apartment, we elected to lay low for a few hours and again avoid the heat. 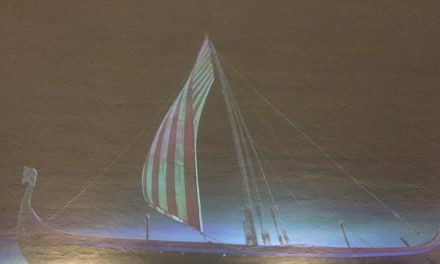 We made the effort to go out in search of the pilgrims later that evening but sadly they eluded us and so we retired gracefully in the knowledge that we had given Seville our all. 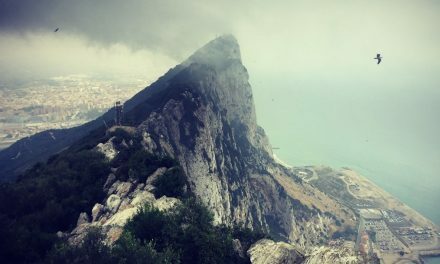 The next morning was to be the beginning of a new adventure to Gibraltar and, as ever we were champing at the bit…. If you or anyone know find this information useful please like and share via the social media buttons below. If you would like more information or to give us some feedback on this blog please leave a comment or contact us. 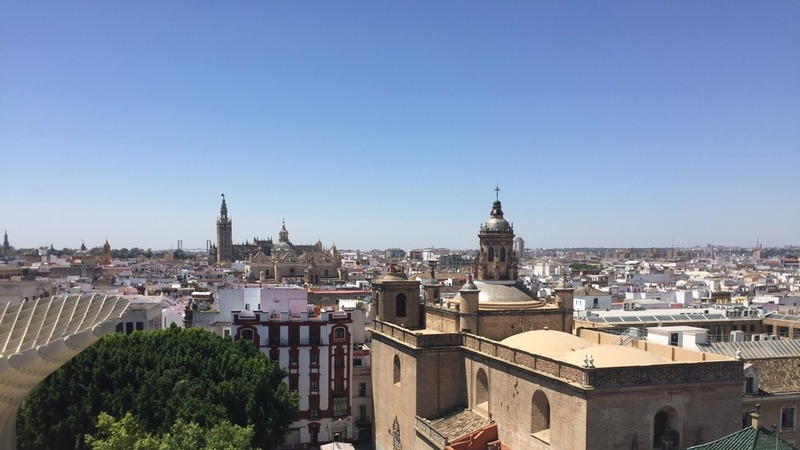 We’ve been dying to see Andalucia, especially Seville so this is especially helpful for us. The Plaza de Espana looks amazing. This is a great itinerary for 2 days, we can’t wait til we get to go visit! 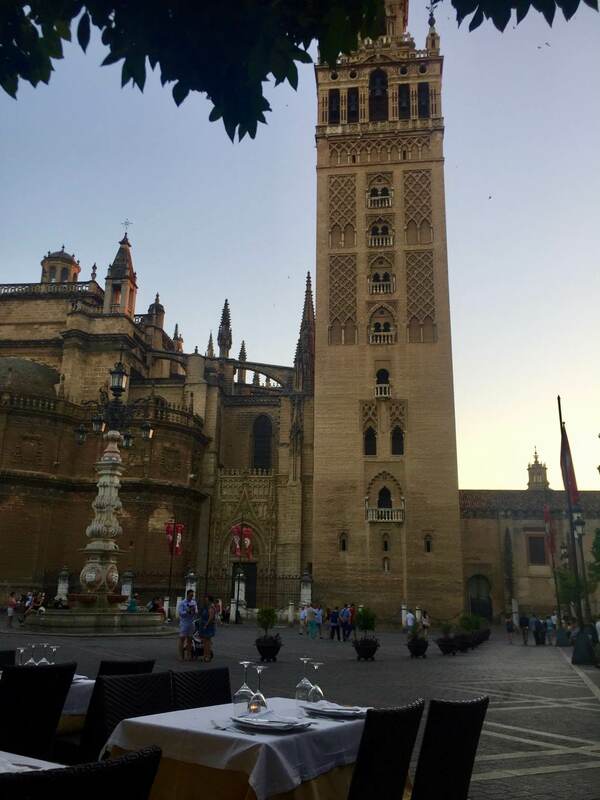 Seville looks gorgeous and I loved your photography, will have to deffo add to my list of places to visit, thanks for sharingn such a lovely write up. 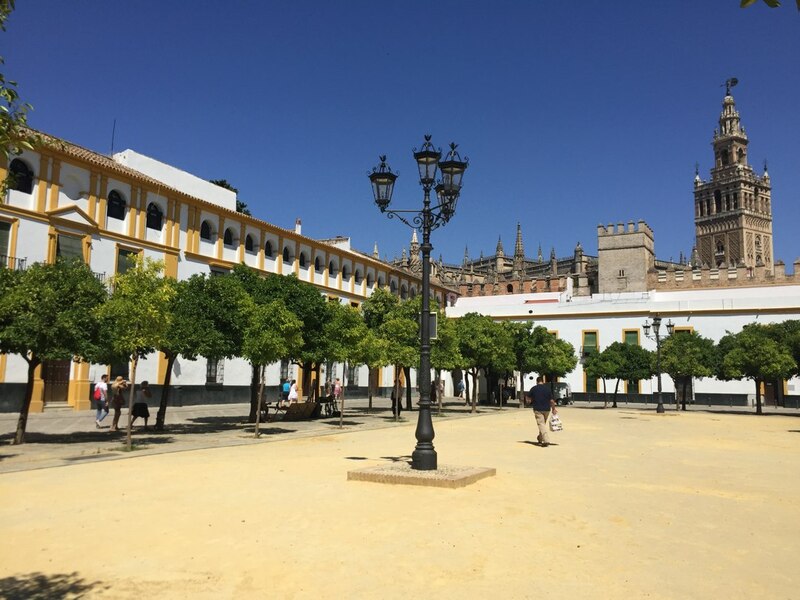 I’d never heard of Seville until a few months ago and now it seems to be popping up everywhere! It does look like an amazing place to explore and your photos definitely do it justice! Wow, you guys have truly had a great time exploring Seville. I love to experience Seville like what you guys have experienced. Ambling around that green and refreshing Plaza would make me really happy. Thank you so much for sharing this with us. 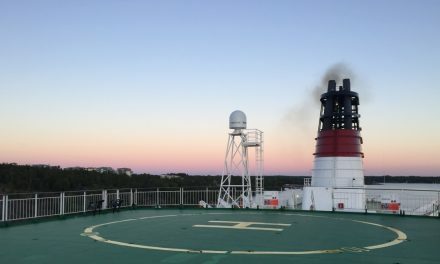 Great trip report! Had been to Madrid but not Seville. I am glad your host gave a solid recommendation on where to eat! I have yet to try an AirBnb. Hi there, thank you for reading and commenting. We love AirBnb and have used it for many years, we generally find hosts are great local resources. It seems like you had a great time in Seville. 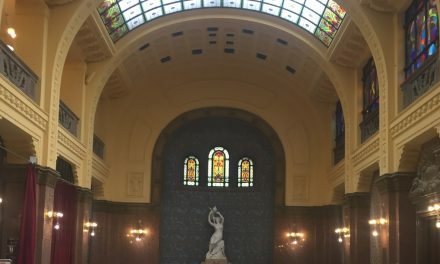 I found the buildings you described and photographed to be awe inspiring. The food scene sounds delicious as well. Hi Denny, thanks for commenting. We loved Seville and will go back for a longer stay in the future. Have you been? You write in such an enthralling way that it brings me right into the heart of Sevilla. Can’t wait to go there! SEVILLE sounds so fascinating! I’ve got to include it in our trip to Spain. Wow what a wealth of information and you have created a beautiful narrative to share your story. Definite inspo for my next trip to Spain! Hi Kiara, thanks for reading and commenting. When are you heading to Spain next? Wow, your trip there seems incredible. Thanks for sharing these tips! I loved Sevilla! My favorite city in Spain for sure! !